The radio station where reporter Carol Childs works has a new format so she is now able to cover the edgier topics in the news like murder. She is sent to the Hollywood Hills early in the morning and finds a man hanging from the Hollywood sign. The police have ruled the death a suicide (yes, that trigger again) but Carol thinks there is more to the story. When “Mustang Sally” calls into Carol’s radio program she confirms Carol’s intuition by confessing on the air with the promise of future deaths Carol knows she may need some help but she is bound and determined to stop Mustang Sally. Another great story from Nancy Cole Sillverman! The author creates such wonderful characters. They are so well-developed and unique. We are introduced to Garhardt “Chase” Chasen in this story. A private investigator that knows the recent death at the sign is connected to previous murders/”suicides” and he wants to work with Carol to catch the killer. He thinks her radio broadcasts are a perfect way to lure the killer out in the open. Carol really wants to investigate on her own but Chase keeps calling and turning up everywhere. She doesn’t like the way she is drawn to this man but he is pretty determined they are going to work together. Carol also has to balance work and her life at home. Her son is turning sixteen and nothing is going to keep her away from his party. This story takes an interesting look at abused women and what lengths they will go to, to get away from their abusers. An online support group that takes things to a very scary level. The police may even be complicit in the groups actions. It is an exciting story with several different tangents twisting the plot very intriguingly. The author handles this serious topic so well while keeping it cozy, not an easy job. Carol is a smart, strong protagonist and has grown in each story. She keeps me coming back for more. I have enjoyed the entire series and am anxious to see what she gets herself into next. Carol Childs in on assignment when she sees Eric, her FBI boyfriend, leave a jewelry store with another woman on his arm. Seconds later there is an explosion. Carol rushes to the scene to report on the situation for her radio station, KCHC Talk Radio. Her reports draws even more interest as a suspect calls the station during a live broadcast. The type of news has been frowned on my the station’s owners but Carol can’t let the story drop, especially when she learns Eric is working on the case. Their relationship takes a hit as they both dry to catch the criminals. In this installment we meet the owner’s wife, Bunny, the one that only wants happy news on the station. She even takes over one of the programs. The manager tells Carol to stick right by Bunny’s side but Bunny informs Carol her help is not needed. But Bunny may have bitten off more that she can chew. Again the author has introduced some interesting characters into Carol’s world. With each story we get to know Carol a little better and I find myself liking her more and more. She is a strong character driven by her job or the job she is striving to get but still takes time when her son needs her. She is smart and savvy and just reckless enough to get herself into trouble. Her relationship with Eric is a little rocky because well the other woman and she wants to know things about the investigation he just can’t reveal. This was an amazing fast read due the pacing of the plot. Driven by jewel thefts and dead bodies the pages were just flying. The behind the scenes look at the radio station and virtual tours around Beverly Hills added nicely to the story. I read it all in one sitting, I wanted to figure things out almost as much as Carol. 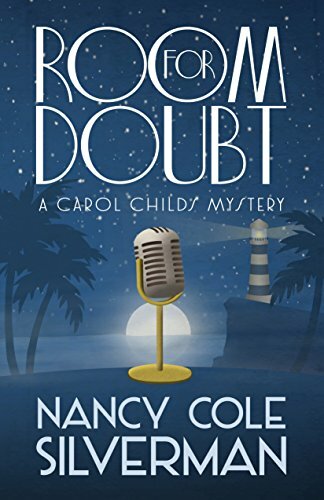 I will be reviewing the next book Room For Doubt soon. I will give away 1 E-copy sent direct from Amazon! 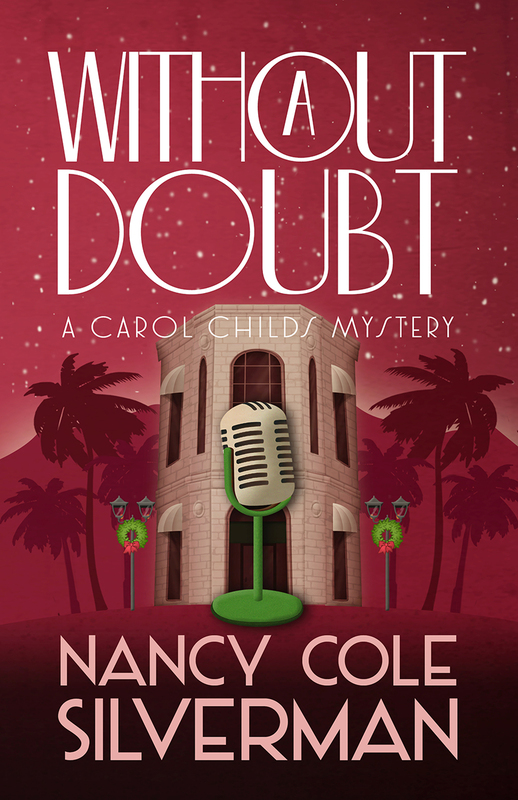 Nancy Cole Silverman just toured her new book Without A Doubt with Great Escapes. When I brought it up on my Kindle I saw that I hadn’t read the 2nd book in the series, Beyond A Doubt , even though I was sure I did. So it quickly became my Flashback Friday book. I just watched a broadcast of one of my favorite soap opera stars, Deidre Hall from Days of Our Lives get her star on the Wall of Fame so those images were brought back with this story. 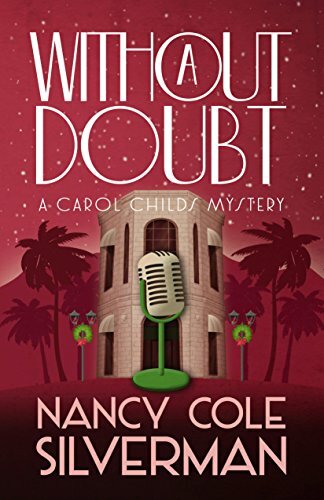 Radio reporter Carol Childs finds herself close to Hollywood and Vine several times as she investigates the murder of a judge’s daughter and a string of missing girls. 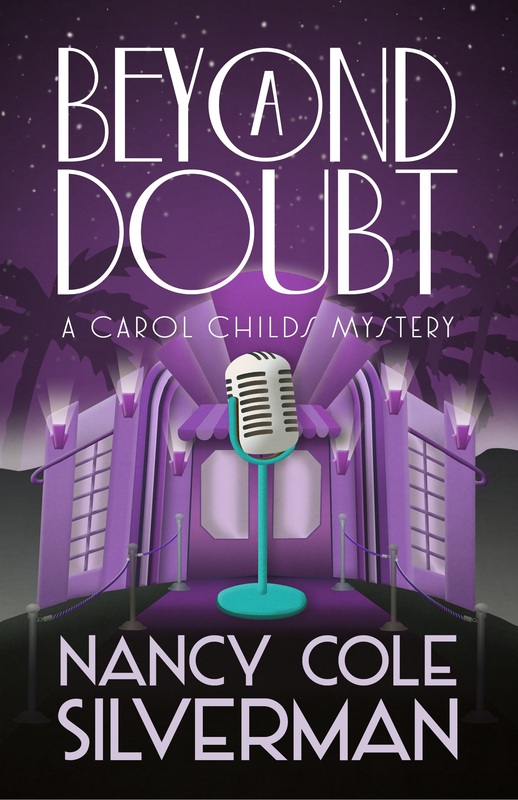 For the most part she is trying to get the scoop for her radio station but since the police seems to be dragging their feet on their investigation she figures helping them can’t hurt. Carol’s FBI Agent boyfriend, Eric, is off for a little R&R on his boat so he is not around to keep her out of trouble. The author takes on a couple of hot topic issues in this book and she does it really well. I hesitate to say too much here because I don’t want to spoil the story for you. I will say Nancy Cole Silverman knows how to build suspense. She packs so much in these 244 pages. By the time I reached the end I was almost out of breath. Centered around her life at a radio station, her boss is much more supportive than in the last book, even when the powers that be think murder and missing girls isn’t what they want playing on their station. We meet everyone from celebrity impersonators to a bunch of Red Hat Ladies. These characters are real and believable and some bring a little humor to a very stressful storyline and some become suspects. 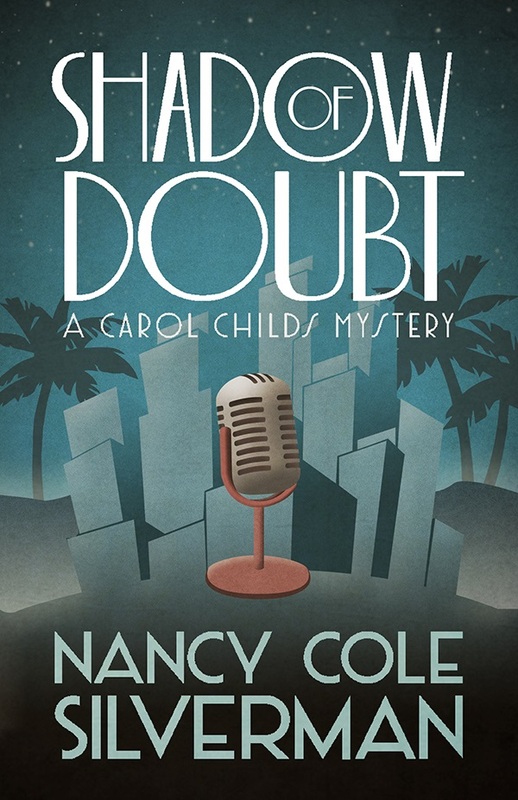 I really enjoyed the first book in this series, Shadow of Doubt, I am upset with myself for taking so long to read this one. A fabulous read, my only pause, was the ending, it was just a little too easy, but very entertaining and not enough to knock down my rating. I will give away 3 E-copies!